The sweet Louise at Mommy Loves Nail Polish sent me this gorgeous polish by Orly, Miss Conduct. Thanks so much sweetie! I love it! Miss Conduct is part of Orly’s Naughty or Nice Holiday Collection. 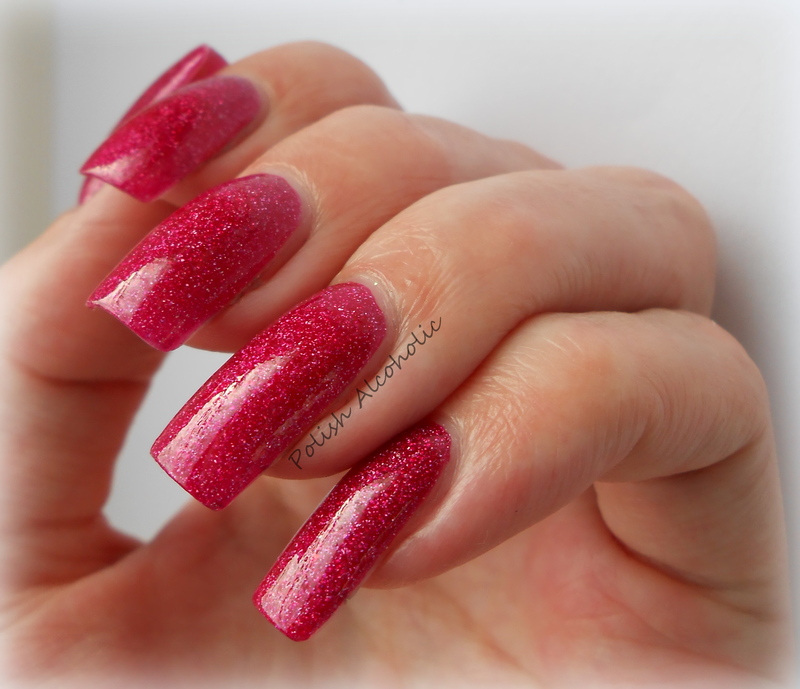 It’s a hot pink scattered holo. In the bottle it seems a glitter holo, but a closer look reveal a scattered holo 🙂 Lovely! This is my very first Orly! I had to get used to the long thin brush, but the application went fantastic. I guess I’m a bit spoiled by OPI’s Pro Wide Brush. This polish has a perfect formula! I’ve used three thin coats here plus one coat of Seche Vite.